Real men have muscle. 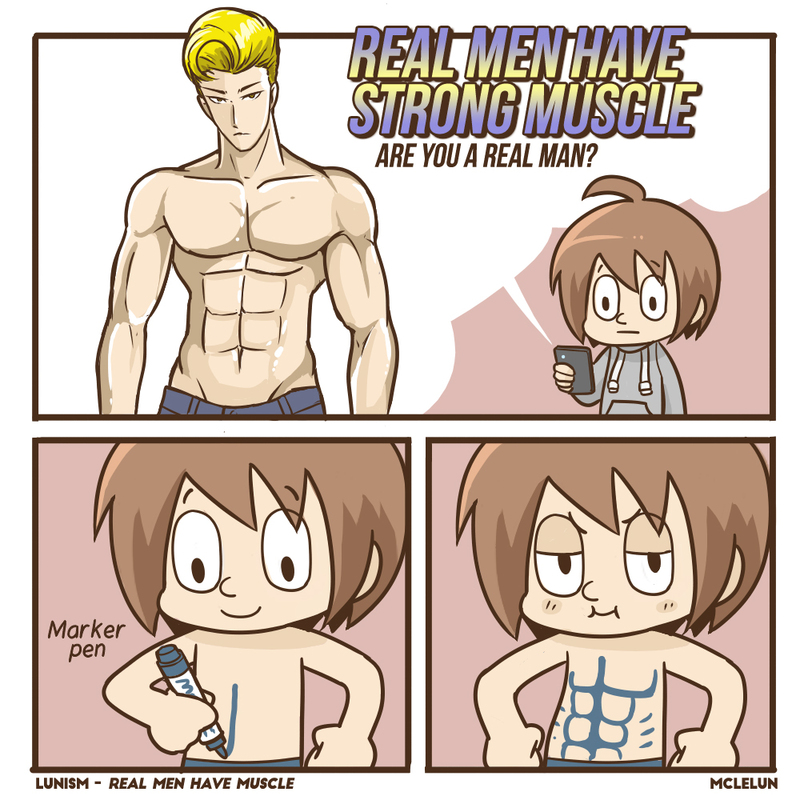 Are you a real man? Don't worry! Here's an instant 6 pack solution.